Everything I Said On Facebook About Living With Diabetes That Didn’t Get Made Into A Separate Blog Entry. 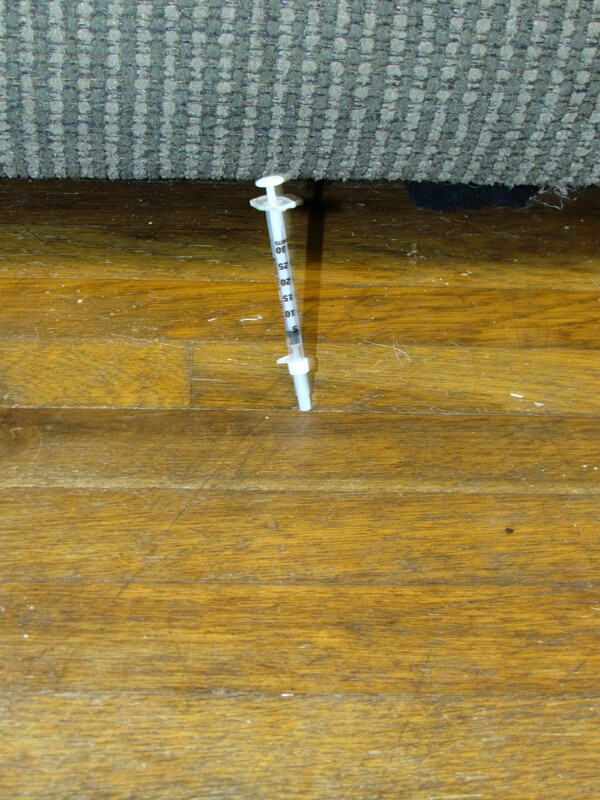 Determined to give himself the next shot, Ryan carefully prepared the syringe and then dropped it. It impaled itself in the hardwood floor and there it stayed, quivering. Well, if you’re going to drop your medicine, it might as well be cool. So I now know two things: 1) It’s not a good idea to try to dispose of lancet needles in the dark at 2 a.m. and 2) Lancet needles are sharp. At least I got a good draw off it. Too bad I didn’t need to test my blood. For dinner I picked tomatoes out back to put in a salad, and as I put a serving of salad on my plate I could have sworn I saw a pincher bug run across the plate. I quickly lifted the salad up and found a blackened, wilted piece of lettuce, but no pincher bug, no matter how hard I looked. So I convinced myself I had just seen the dark piece of lettuce falling onto the plate, not a bug or anything, and made myself eat it, tomatoes and all, because I just went out and picked them so I was darned well going to eat them. And then, when I was close to being done, I looked down on my plate and found one of the test strips from Ryan’s glucose meter in my food. A USED STRIP. AAAAUGH. Needless to say, I stopped eating.